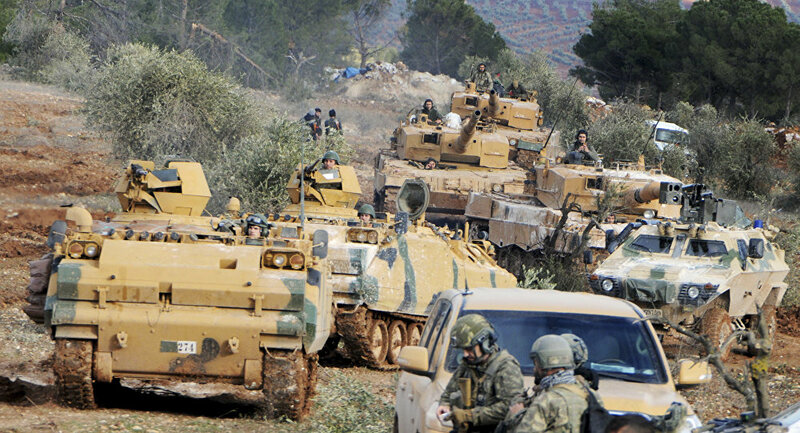 MOSCOW (Sputnik) - Turkey has constructed a 764-kilometer (475-mile) concrete wall along the country’s border with Syria, he Anadolu Agency reported on Saturday, citing an anonymous Turkish official. According to the outlet, the wall, which incorporates layers of physical, electronic and advanced technology, was constructed in six Turkish provinces — Sanliurfa, Gaziantep, Kilis, Hatay, Mardin, and Sirnak — in order to prevent illegal crossings and smuggling, and to foster security of the border with Syria, which has been engulfed in a civil war since 2011. The main portion of the wall (564 kilometers) was built by the TOKI, a state-backed housing agency, while the other 200 kilometers were constructed by the governorates of the border provinces, the agency added. A project for the construction of an 826-kilometers wall along the shared border was launched in 2015. The barrier covers almost the whole length of the Turkish-Syrian border, which is 911 kilometers long, according to the agency. It also reported that Turkey had almost finished building a 144-kilometer wall along the Iranian border.